Wakaberry approached Project Room to assist them to conceptualise, design and build a mobile frozen yoghurt shop utilicing an old 19-seater bus. 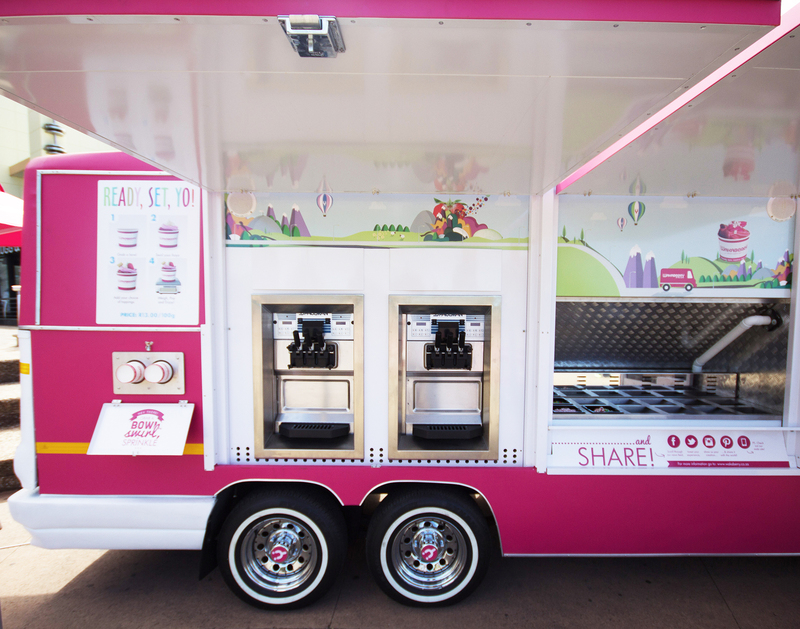 Wakaberry approached Project Room to assist them to conceptualise, design and build a mobile frozen yoghurt shop utilising an old 19-seater bus. Project Room provided a complete 360 solution. Most of the outside shell of the bus were restored and modified to retrofit the custom made fittings and claddings for the frozen yoghurt machines and toppings counter, as well as the POS till unit. A custom air-conditioning and extraction system were fitted to ensure optimum working conditions for all equipment. Project Room set out to create a mechanically sound and visually pleasing final product that will ensure the public’s instantaneous recognition of the quality and consistency of the Wakaberry brand that they have come to love.